Scientists have identified a unique mechanism that the soil dwelling bacterium Pseudomonas fluorescens uses to effectively exploit nutrients in the root environment. The breakthrough offers multiple new applications, according to the team of John Innes Centre scientists behind the discovery: for the study of human pathogens, for synthetic biology, and for the productions of biosensors which help detect biological changes in plants and their environment. P. fluorescens is a common soil bacteria that colonises plant roots, entering into a "marriage of convenience," where it improves plant health in return for exuded nutrients from the plant. The team at the John Innes Centre, Norwich, showed how the "twin" transcriptional factors HexR and RccR can remodel central carbon metabolism in P. fluorescens, enabling the bacterium to adapt to its surroundings. The paper, titled "One ligand, two regulators and three binding sites: how KDPG controls primary carbon metabolism in Pseudomonas" is published in the Journal PLOS Genetics. The study provides a fundamental new insight into how bacteria tune their metabolic responses to available nutrients. In particular, the RccR protein employs a unique and sophisticated two-way switch that enables it to simultaneously suppress and activate the expression of different genes. Dr Jacob Malone, a project leader at the John Innes Centre said: "The RccR protein functions in a completely different way to conventional regulators of this type. Virtually every regulator we know of operates via an on-off switch – it either binds to DNA or it doesn't. RccR on the other hand uses an either-or switch. The principles underpinning RccR function make it an incredible tool for use as a biosensor, and have lots of potential for use in synthetic biology and the production of a new generation of genetic circuits." The study not only explains how P. fluorescens adapts its metabolism to exploit nutrients secreted by plant roots, but it also suggests medical applications. 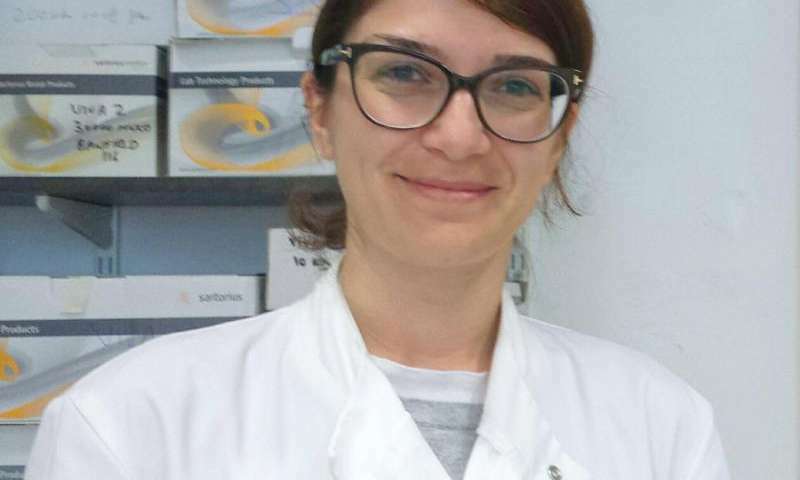 The report co-author Rosaria Campilongo, a research assistant at the John Innes Centre, explained how her findings can be applied to the study of the human pathogen Pseudonomas aeruginosa, a major factor in cystic fibrosis lung infection: "The RccR system is shared by all Pseudomonas species, including human pathogens. This means that characterising RccR in P. fluorescens may open new insights into the pathogenesis and potential treatment of P. aeruginosa."